Congrats to Boots Alum, Meghan Patrick, who just nabbed her first #1 single at Country Radio this week with “Walls Come Down.” With this chart-topping news, Meghan joins Lindsay Ell as the only two female artists to reach to top of the Nielsen/BDS and Mediabase Country airplay charts in 2018. Meghan Patrick is the reigning two-time Country Music Association (CCMA) Female Artist of the Year. In addition to her CCMA success, Meghan recently made history by becoming the first solo female artist to take home the Fans’ Choice Award at the Country Music Association of Ontario Awards. With her debut album, Grace and Grit generating four Top 20 singles and a Top 10 hit with Still Loving You, Meghan Patrick released her sophomore album (Country Music Made Me Do It) earlier this year to great fanfare, debuting at #2 on the Soundscan Country Album Chart and Top 10 on the Top Albums Chart. The first single from the album, also titled “Country Music Made Me Do It” reached the Top 5 followed by “The Bad Guy” which was a Top 15 hit. 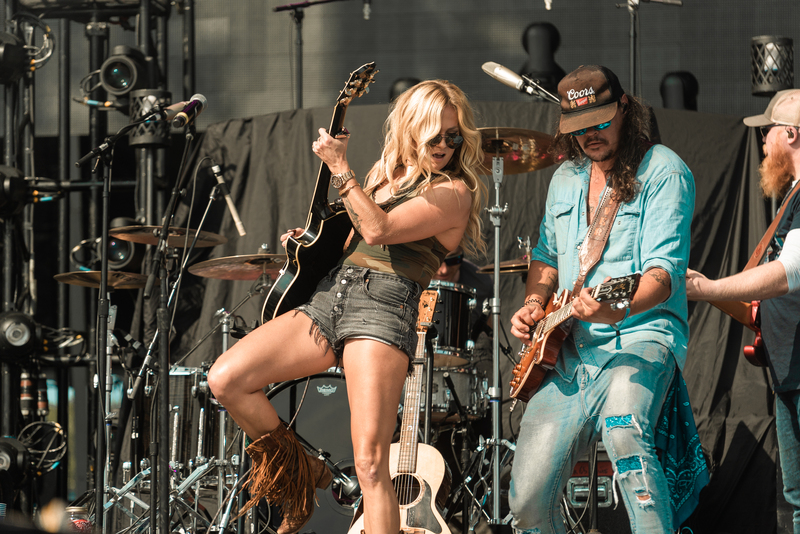 In concert, she has shared the stage with superstars like Lady Antebellum, Dwight Yoakam, Martina McBride and #Boots2019 performer Kip Moore. Watch Meghan Patrick perform “Walls Come Down” below.